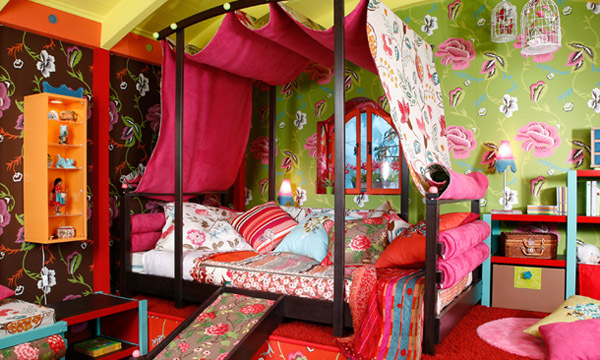 French designers from Vibel have created a very colorful interior design for girls’ bedroom and called it ‘Gipsy’ because of its amazing mix of colors and patterns that remind of Gipsy camp on the flower meadow. 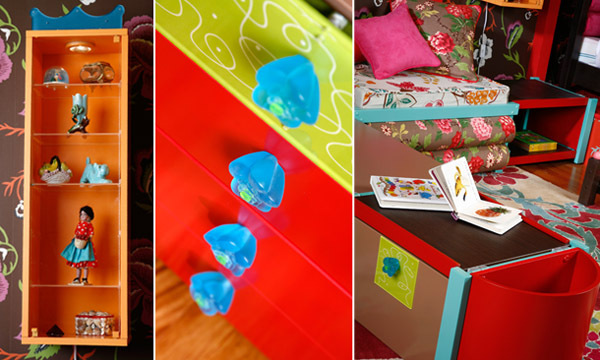 This kid’s room is simply a burst of color and patterns. 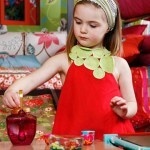 The basic color scheme is green, yellow, red, brown with heavy pink, orange and blue accents. The floral print is all over the room decor from wallpaper to bedcloth. The bedroom made for girls from 4 to 6 has a baldaquin bed that stands on a platform. 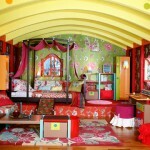 The walls feature red beams while the yellow ceiling is arched and decorated with same toned beams. 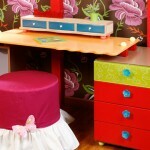 The room also has a little table and some organizing furniture as well little red cozy armchair. The decor is very active and really does look like a Gipsy tent. 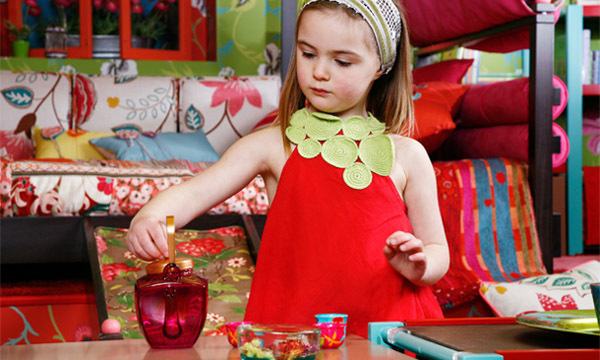 Various floral prints contrast with bright colorful straight lines in furniture and bedclothes. Some accessories like platform rug come in solid colors with active texture. 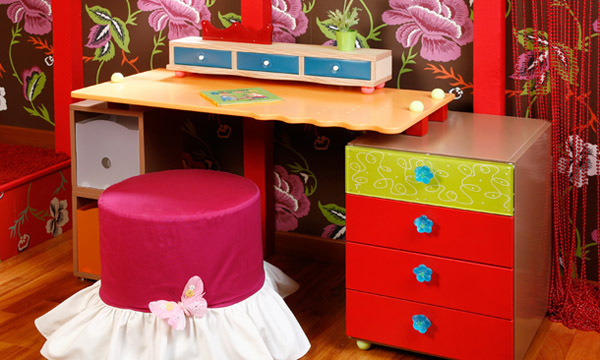 The room is very girlie and has a room for play as well as study and sleep. 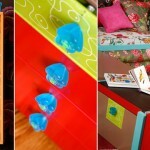 Besides its decor beauty the room is highly functional due to its ability to combine the play, sleeping and study zones. The room is also very organized thanks to the toy box and shelves and cupboards. Vibel have also provided the room with many items that can be transformed and changed if needed. HI I hope you will keep updating your content constantly as you have one dedicated reader here. thank you!